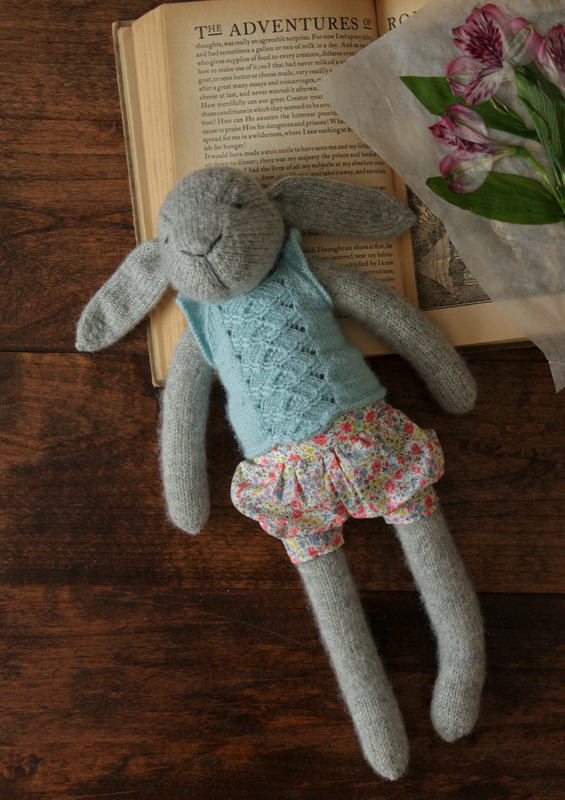 “Claire the Hare” Knitting Pattern is now available as a PDF Pattern! 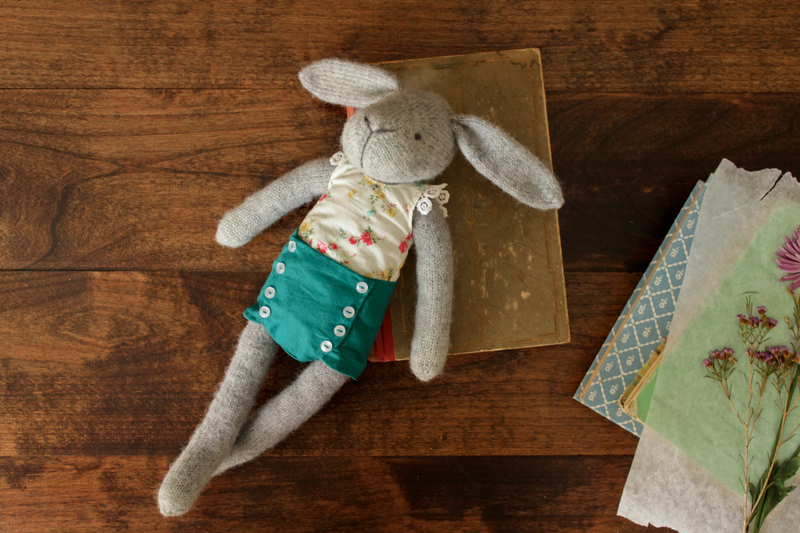 This little bunny was so much fun to design and create. It’s the perfect size for my daughter to tote around, and it makes the perfect little shelf accessory when not in use. 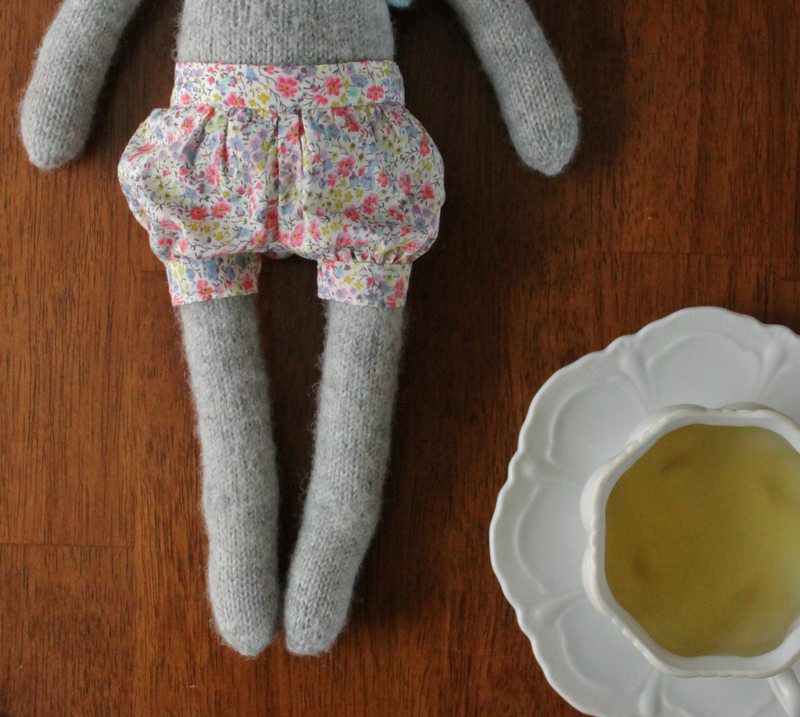 This vintage-style knitted rabbit doll measures 16″ from head to toe. I love her pigeon-toed stance, and her long, lanky body. Her face is detailed just enough to have the perfect bunny-faced pucker. I think I enjoyed creating her little overall dress the most. 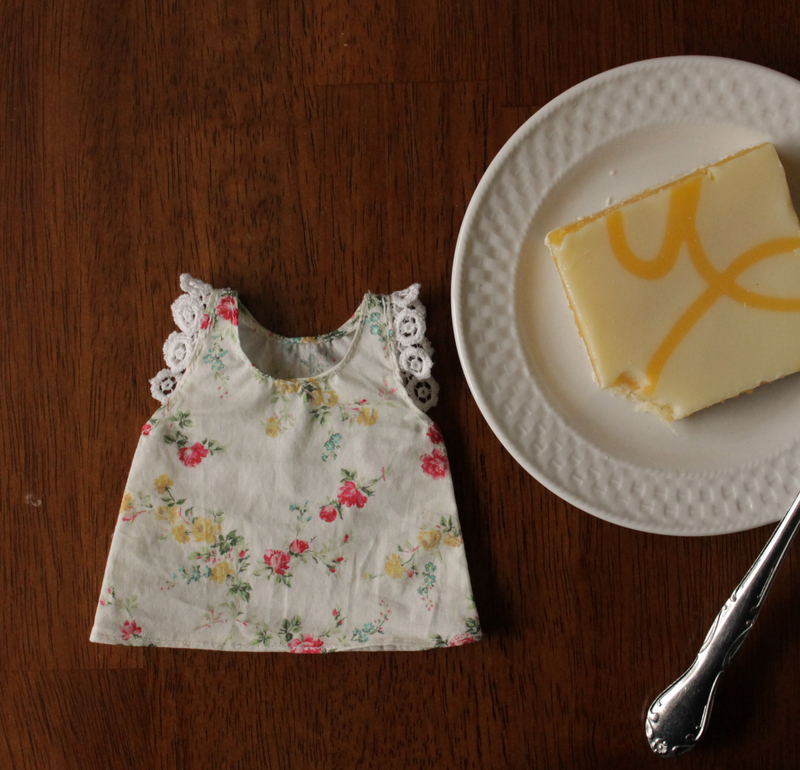 It has tiny crisscross straps in the back and a teeny tiny pocket right at her hip. The biggest bonus of this pattern: it is knitted completely in the round. NO SEAMS! 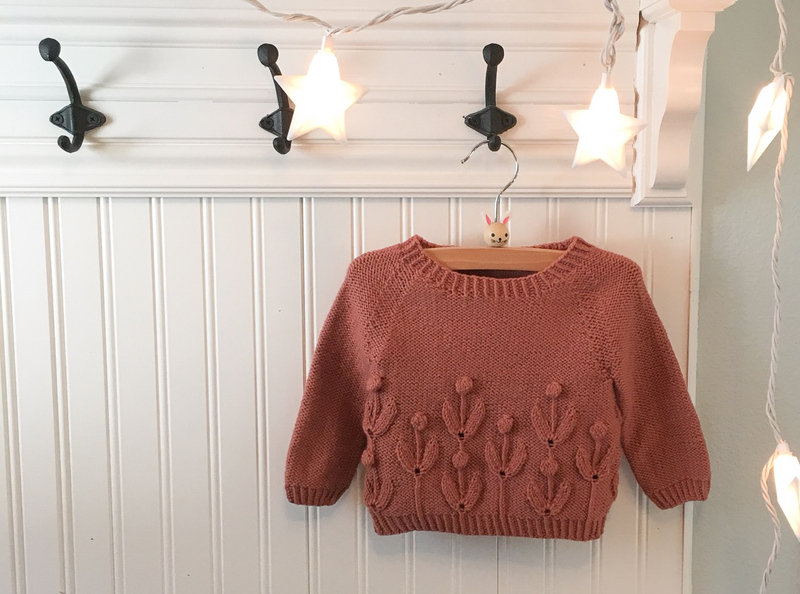 Makes for a quick and easy knit. I created this pattern using Knit Picks’ “Wool of the Andes Sport” yarn because of it’s beautiful heathered coloring. I love how rustic it is. 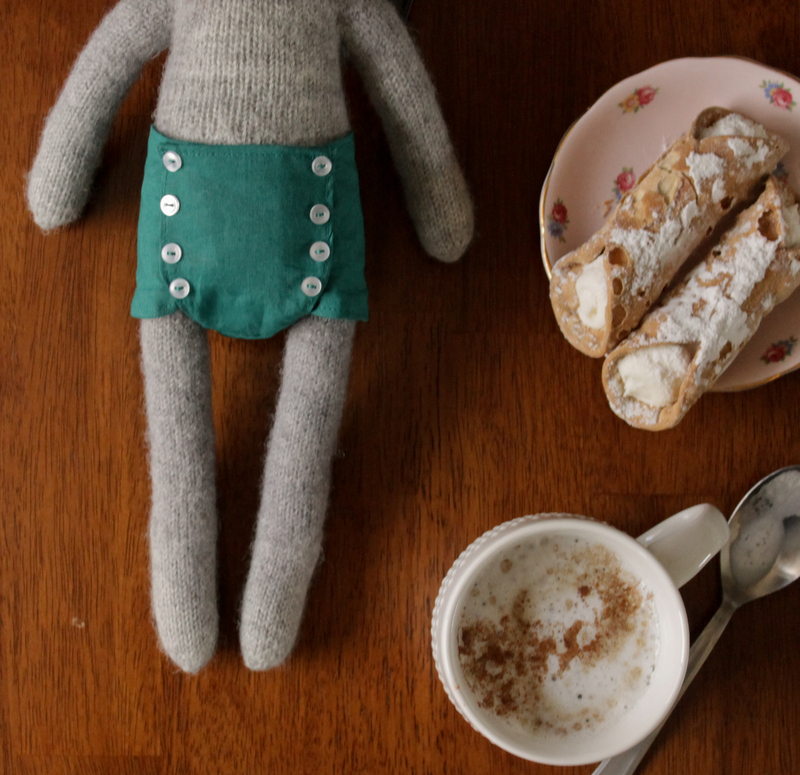 Be sure to check back for updates on different knitted outfit patterns for “Claire,” and even a fella friend! 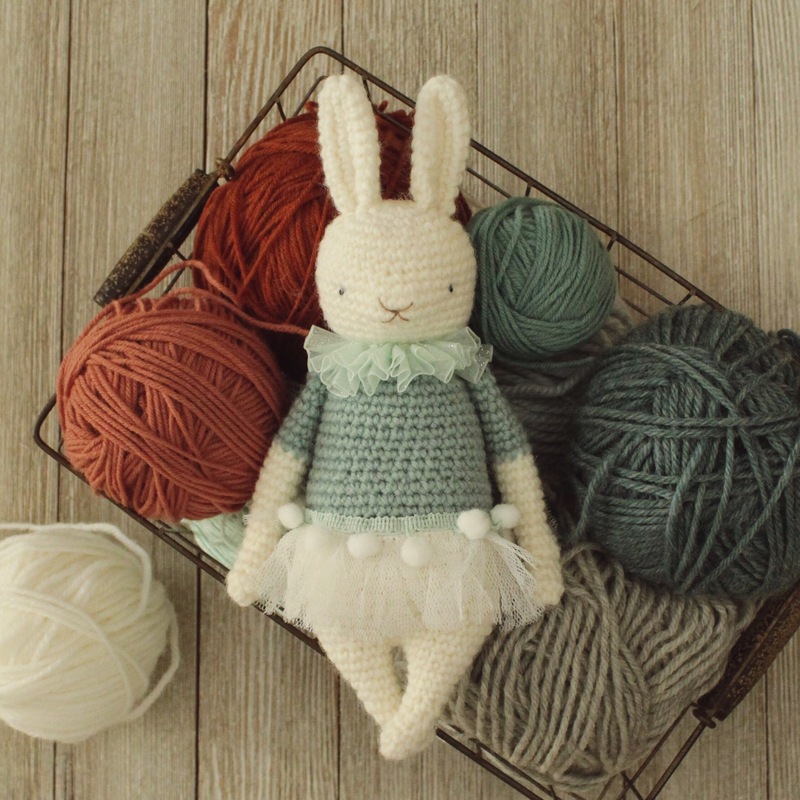 You can substitute any yarn for this pattern, but just keep in mind that you will have to use yarn with the same exact gauge for any new outfit designs in the future, so make a note of any alternative yarn you use! If you would like to purchase this pattern, follow this link to my Etsy shop. 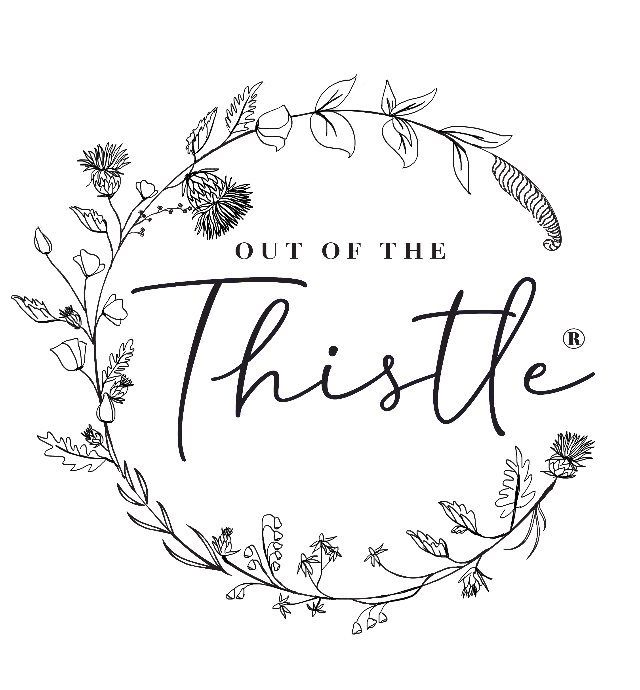 It’ll be available there until our new website update is complete! We’ll keep you posted! Don’t get me wrong, I have used a few patterns… literally, a few. I could probably count how many on one hand. Maybe it’s because I’m crazy! Maybe it’s because I like to challenge myself to make something better. And, typically, this example is what has happened on those rare occasions of pattern-using…I change it. I can’t just make what someone else tells me to make, I guess. 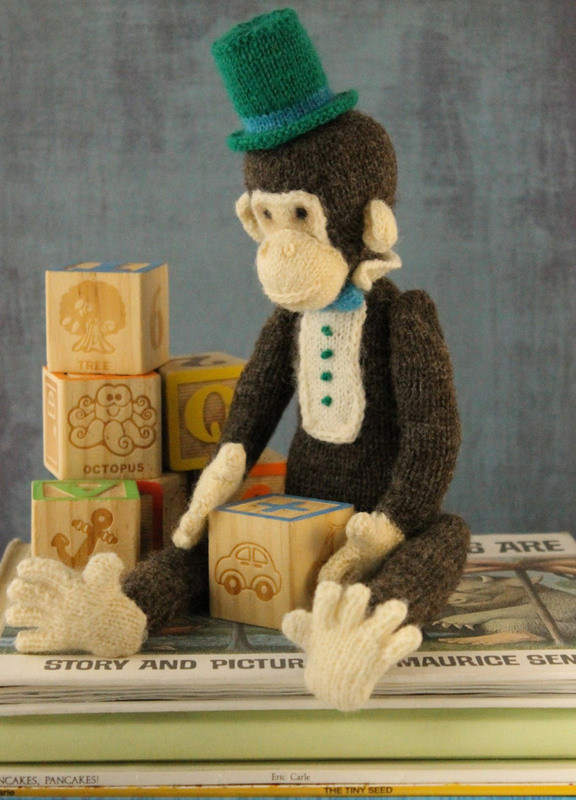 This dapper little monkey was adapted from an Alan Dart pattern. 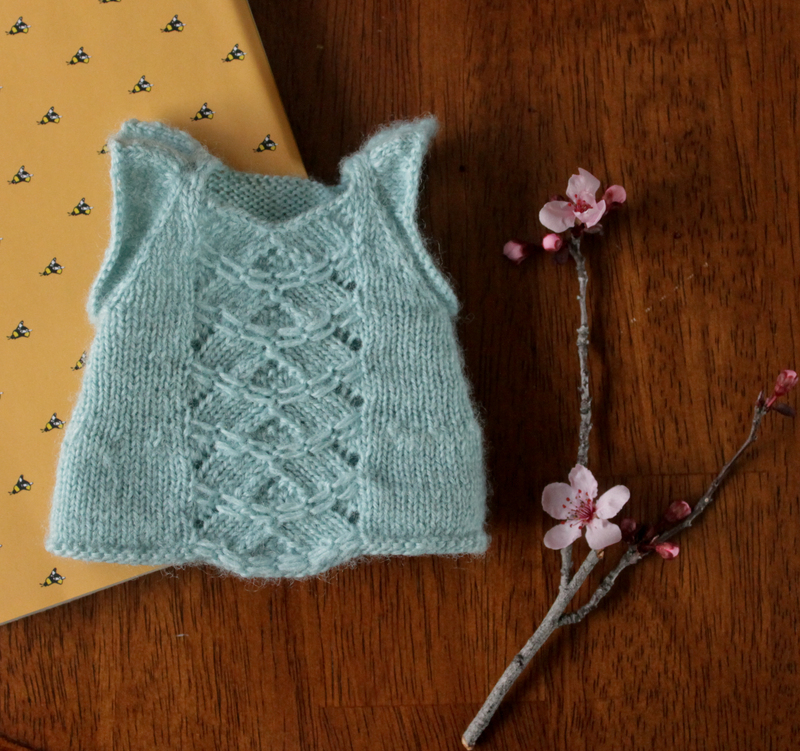 Originally, the pieces were to be knitted flat and sewn in place to the body. I decided to make him jointed, instead! 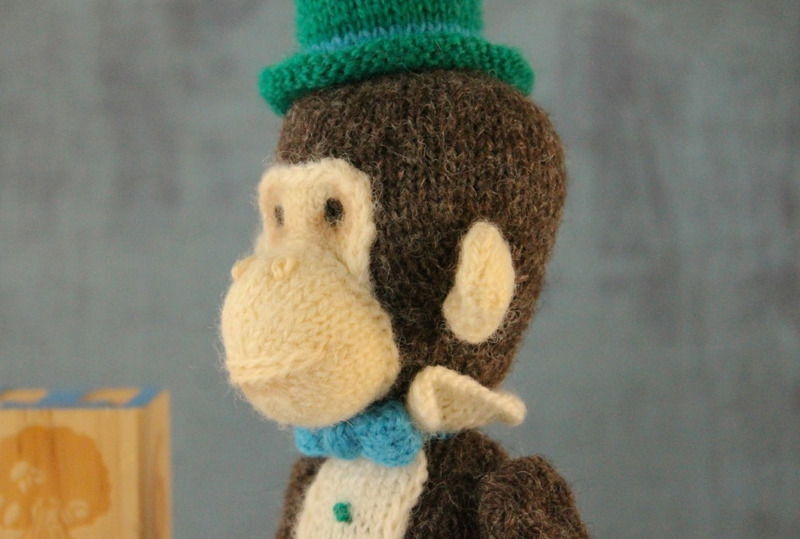 He is my first knitted animal design, and I cannot wait to create a little character entirely from my own design! 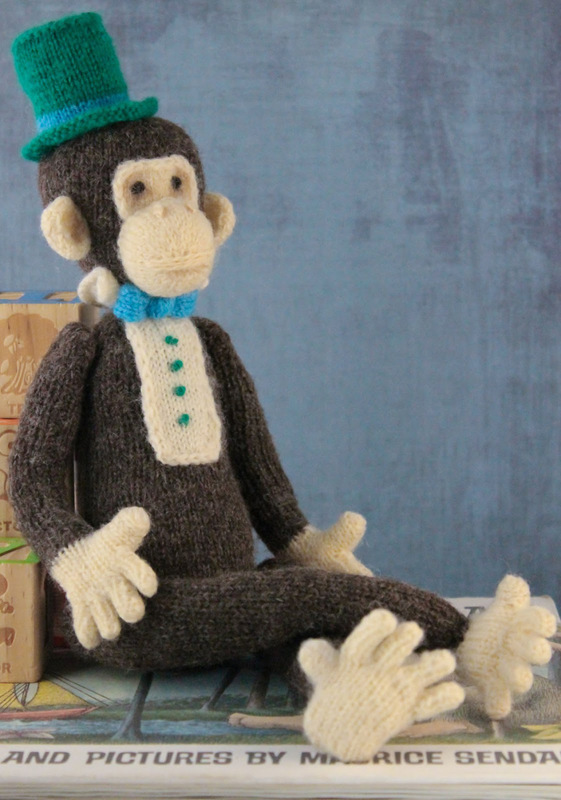 I love the way this little guy turned out, and I plan on making a lady-chimp-friend for him, along with a whole knitted tea set from the pattern…with my own changes, I’m sure. From his little top hat, to his cheerful little bow tie, with ten fingers and toes, I’d say this “first” was a success. I’m ready to create my own Thread Bears® characters! Hope you like this little fella.